Dr. Laurence C. Jones founded the Piney Woods School in rural Rankin County, about twenty-one miles south of Jackson, in 1909 to educate African American children. 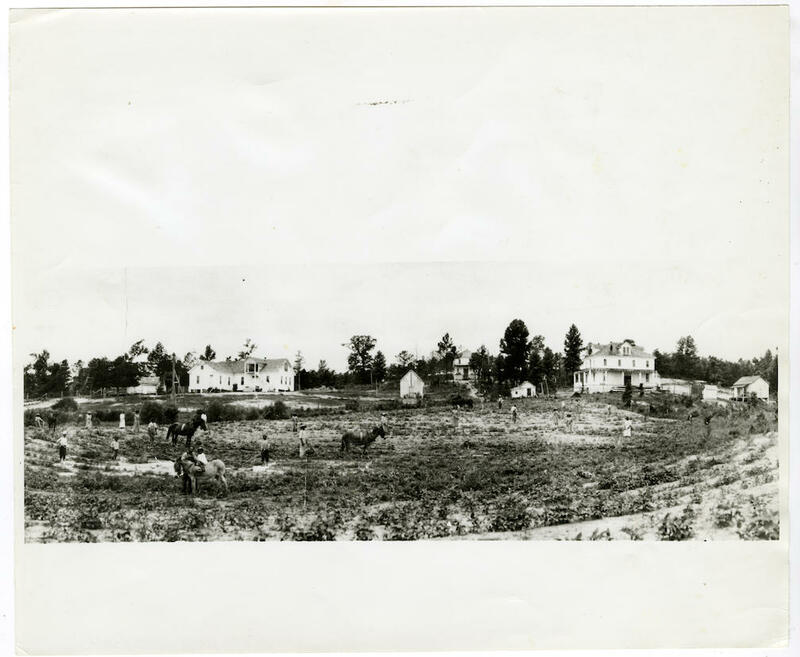 More than a hundred years later, Piney Woods has a two-thousand-acre campus with a five-hundred-acre working farm and serves about three hundred students in grades nine through twelve. Virtually all of the school’s graduates go on to attend college, including some of the nation’s premier institutions. Born in Missouri and schooled in Iowa, Jones moved to the South after developing a correspondence with Booker T. Washington about the industrial education provided at Tuskegee Institute. After teaching for a year in Jackson, Jones traveled to rural Rankin County, intent on founding an industrial school for the area’s African American children. The early days of the school almost immediately became legend. Jones held the first day of lessons on a log underneath a cedar tree, opening the day with the hymn, “Praise God from Whom All Blessings Flow.” A symbolic re-creation of the cedar tree and log can be found on the school grounds today. Over the next twenty years, Jones built the foundation of Piney Woods, beginning with the reappropriation of a rundown sheep shed on land donated to Jones by an African American farmer known as Uncle Ed. Keeping with the principles of Washington’s industrial education initiative at Tuskegee, the Piney Woods students learned trades as well as academics. The first building served as both a classroom and a dormitory for students, who came from all over Mississippi. One of only four historically black boarding schools in the United States, Piney Woods today continues the tradition of industrial education. In addition to the working farm, the campus has a printing shop, an automotive shop, and a day care facility. Most students receive financial assistance, primarily in the form of a work-study program. Many of the school’s day-to-day services depend on the labor of its students, including groundskeeping, cooking, classroom assistance, and maintenance. Piney Woods exemplifies the industrial-school model and notions of middle-class uplift among African Americans in the South during segregation. Jones received the majority of his initial funding from northern philanthropists, particularly educators he met while in school in Iowa. Other notable contributors included the Maytag family, the Rosenwald and Jeanes Teachers’ Funds, Dale Carnegie, and the Kraft family. Like many industrial educators of his era, Jones courted northern white philanthropists by presenting Piney Woods as a way to create constructive and useful African American citizens for the New South. Piney Woods provided a model for other educators and leaders throughout the world. Jones and his teachers traveled to India, Mexico, China, and other countries in need of rural education programs to teach local educators how to develop schools based on the Piney Woods model. In 1929 the school opened to blind students, offering the only educational opportunity for Mississippi’s blind African American community until the state opened a facility in 1950. While the school has no formal religious affiliation, Jones based the curriculum and philosophy of Piney Woods on strong Christian principles. The motto “Head, Heart, Hands” embodies the tenets of academic, Christian, and industrial education that continue to guide the school today.